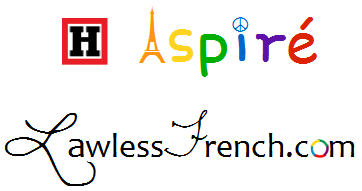 Despite the name, the h aspiré is not aspirated or otherwise pronounced. Nevertheless, it is distinct from the h muet in that it does not allow elisions or liaisons – the h acts like a consonant. Par exemple : Je hais les hamacs. – I hate hammocks. Because haïr begins with h aspiré, there is no elision with je. If it were h muet, you’d have to write j’hais. Likewise, les hamacs is pronounced [lay ah mak], not [lay zah mak] as it would be if hamacs started with h muet. The following is a fairly complete list of words that start with h aspiré. As you can see, many of them are borrowed from other languages. Since they begin with h aspiré rather than h muet, their pronunciation remains closer to that of the original language. When in doubt, consult a dictionary, which will have some symbol, usually ‘ or *, to indicate the presence of an h aspiré. Next Poisson d’avril – Finis les genres !